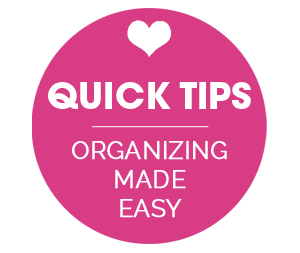 IHeart Organizing: Reader Spaces: March Organizing Link Party Recap! 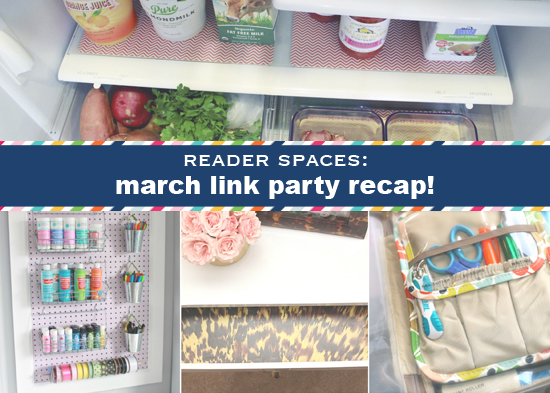 17 Reader Spaces: March Organizing Link Party Recap! It is that time again! What time you ask? Time to celebrate you! Another month has come and gone and so has another successful link party. Spring is clearly here because once again, you all have been busy, busy bees! I always recommend taking time to sneak a peek at all of the link party goodness, but for those with limited time, I thought I would give you a glimpse of the goodness. Labels never have to be boring. In fact, Amy shows us how fun they really can be! She really is endlessly creative! A watch box combined with an etched monogram proves to be a stellar combination. I love this project as a Father's day gift idea as well! 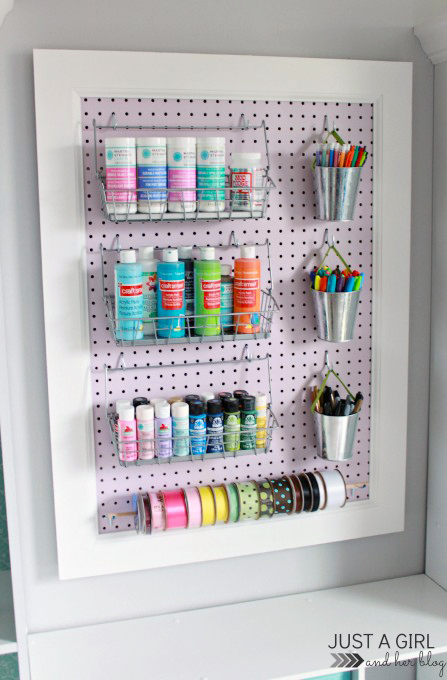 I am such a sucker for a good pegboard project, and Abby's is downright darling! I love that she was able to gain vertical craft storage that is simple to access when the mood strikes! 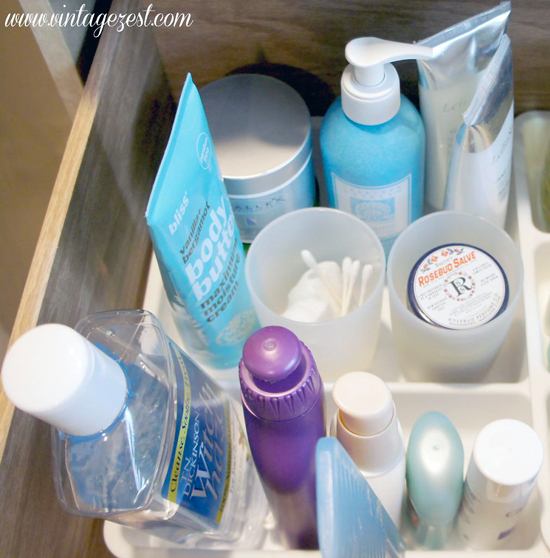 Both Diane and Angela organized bathroom drawers and showed the importance and impact that some simple drawer dividers can make! It is no secret that I have this thing for checking our organized closets and drawers. So, imagine my delight when I stumbled upon Mel's organized office tour. 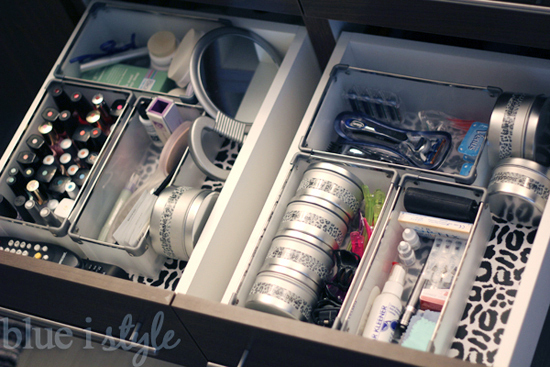 She gives us a glimpse inside her space, showing us how she keeps all of her office supplies corralled and concealed. 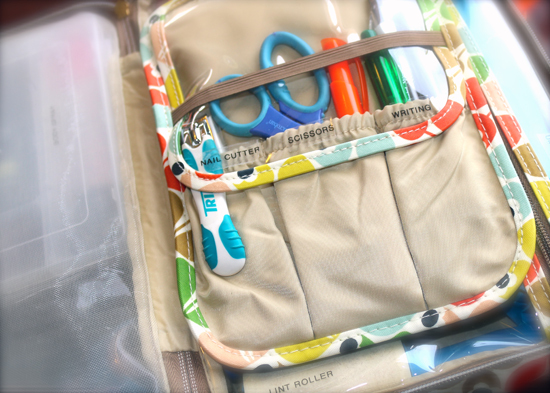 Megan sewed up some super sweet see-through pouches to create handy puzzle storage. I am smitten. 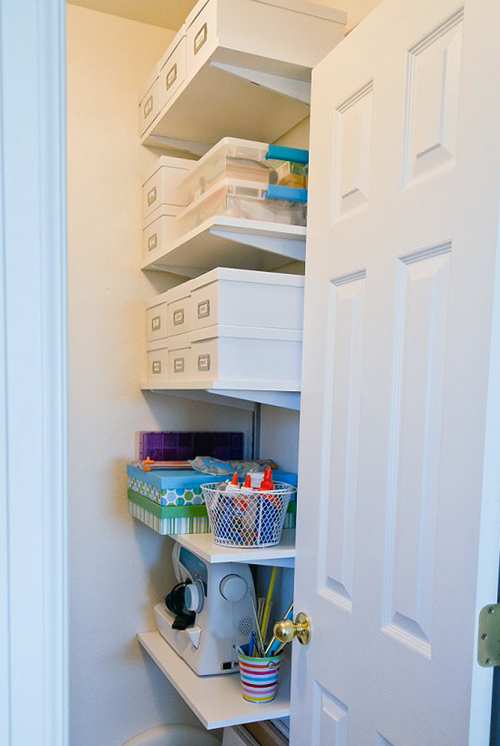 April's closet was outfitted with new shelving to make the most of her vertical wall storage, and the results are awesome. 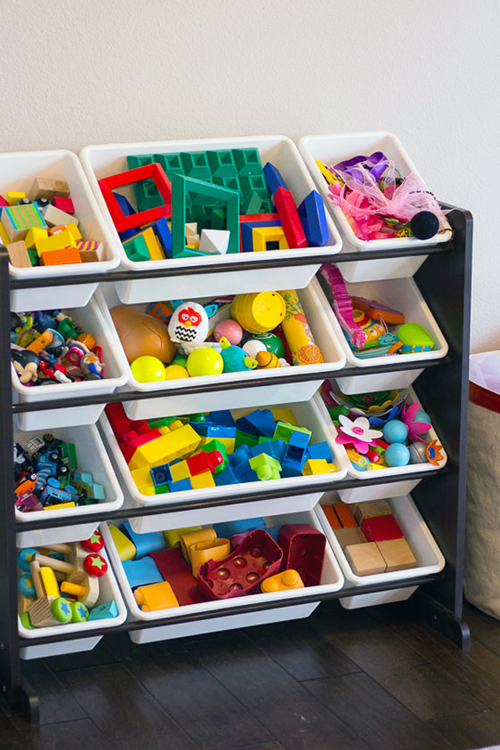 Looking for toy and craft storage ideas for the munchkins? Haeley shared a slew of fantastic options over on her blog! 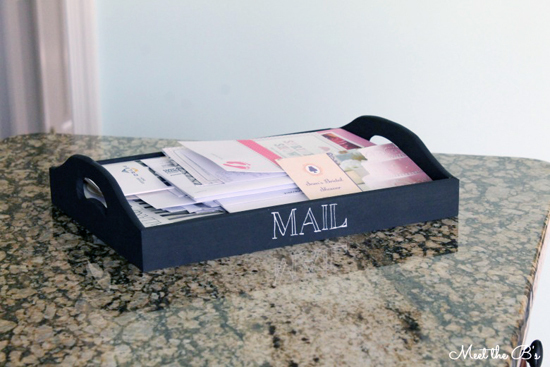 We all know how quickly mail piles can clutter our surfaces. I love how Nicole whipped up a sweet little tray to hold her papers until she is ready to deal with them. 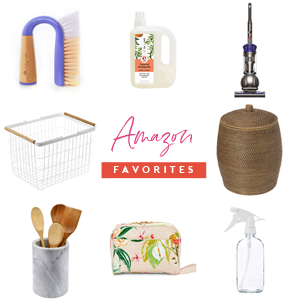 How do you fall in love with cleaning? 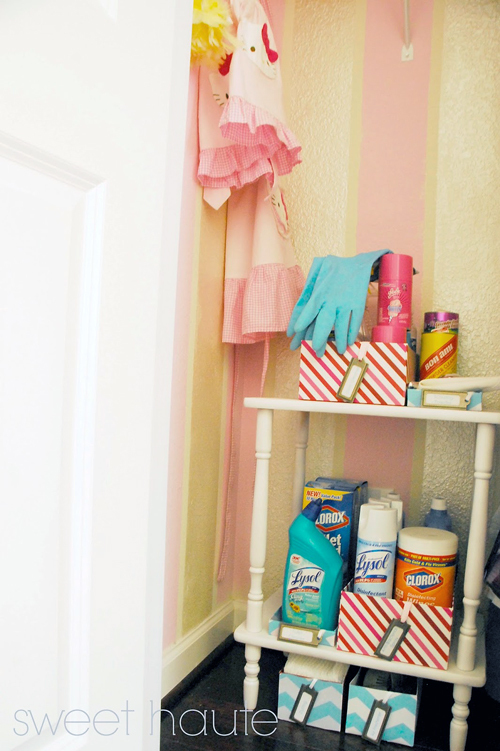 Create the most magical cleaning closet around, that's how! That is what Christina did, and I love how fearless she was with her design! Maria organized her fridge. Bins, organized drawers, labels and I even spy some Fridge Coasters in there! Makeovers done on thrifted finds are some of my favorites to see! 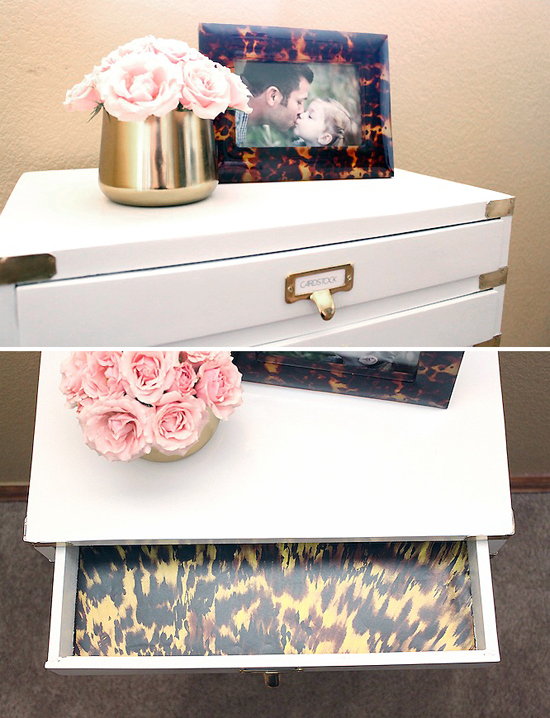 I love how Katie updated a set of jewelry drawers for her daughter's bedroom. Polka dots and happy colors for the win! Another fabulous find, this one at a yard sale, is Brittany's campaign dresser. When I say fabulous, I mean that with a capital FAB! 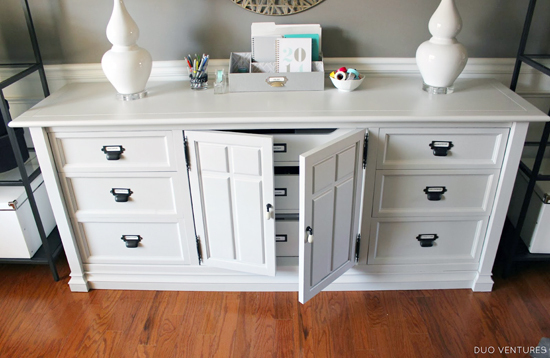 Her makeover is simply divine and I adore that she was able to make functional storage out of something she loves! Cosmetic and toiletry bags are not just for traveling with makeup, they are actually quite versatile. I use one for my work belongings, while Cherie shows they also work great as organized car kits! 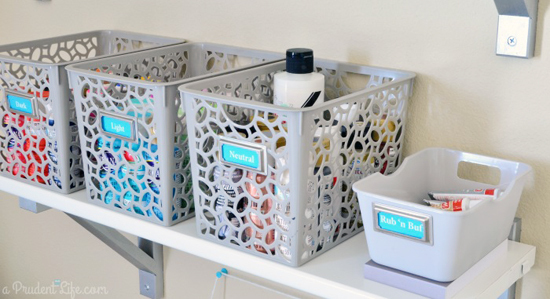 April's link party is already going strong, you can submit your high/low organizing and storage solutions here. You always have such nice comments about everyone's projects. 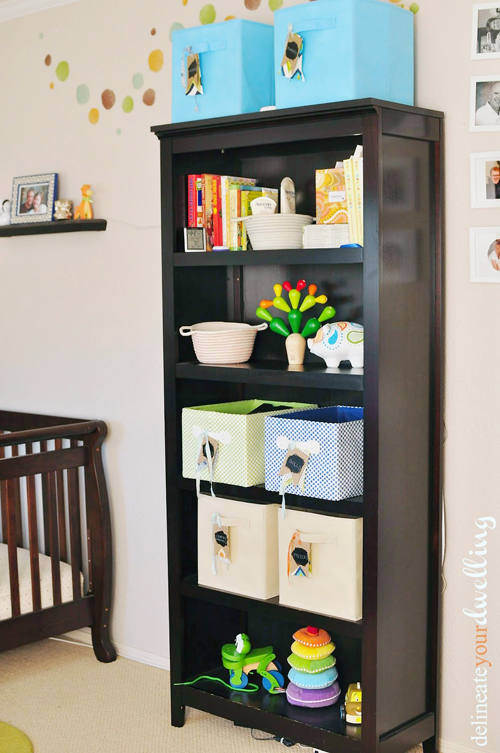 Thank you again for featuring my kid's toy storage tags! 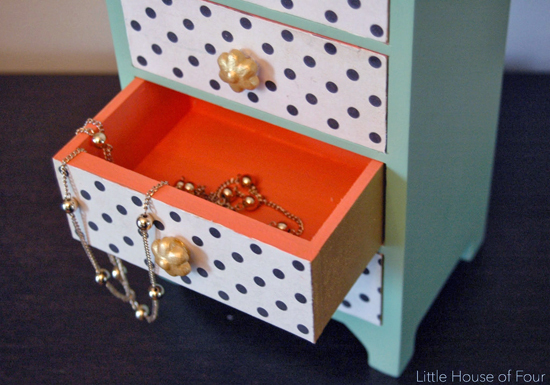 Wow, thanks so much Jen for featuring my jewelry box makeover among all the other great organizing projects! 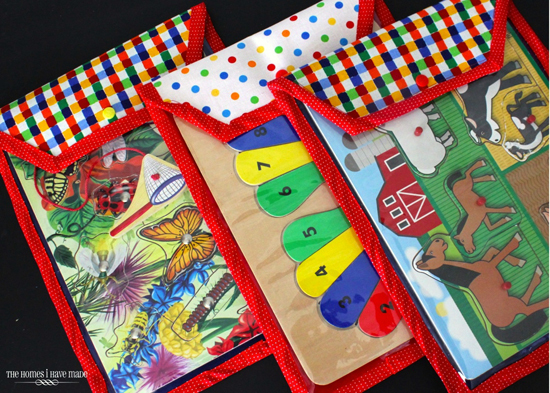 Jen - thank you so much for the shout out on my puzzle pouches! Excited you love them as much as we do! Hope you're having a great week! Jen! You are the sweetest ever! Thank you so much for featuring my pegboard! I am so honored to be included amongst so many incredible projects! Have a great night! These are some of the coolest projects. I always love this time of month there are always so many neat ideas that I can let inspire me. Like the others are saying- THANK YOU SO MUCH for the feature. My husband thought that I might be dying when I was trying to tell him! These are all great! 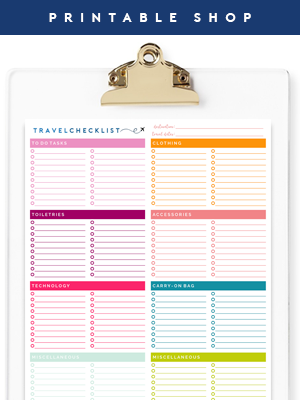 Thanks for sharing these ideas to get me thinking about organization. 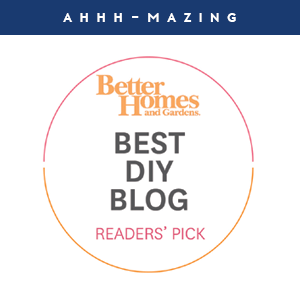 Thanks for including my craft room in your picks this month Jen! 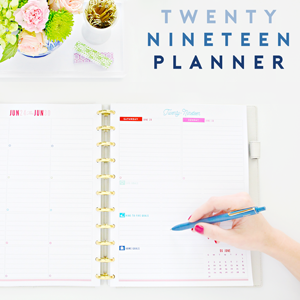 I look forward to this post each month because your readers have the best spaces! 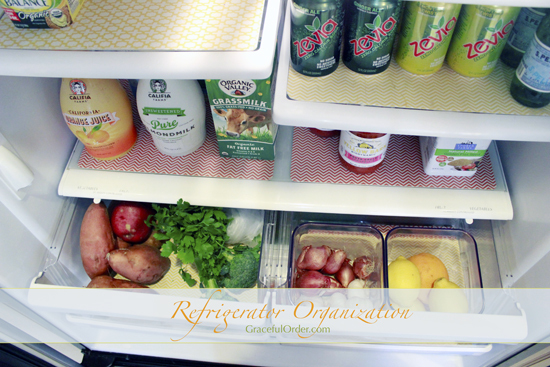 Thank you for featuring my refrigerator organization post! I learned about fridge coasters from you and I love them!